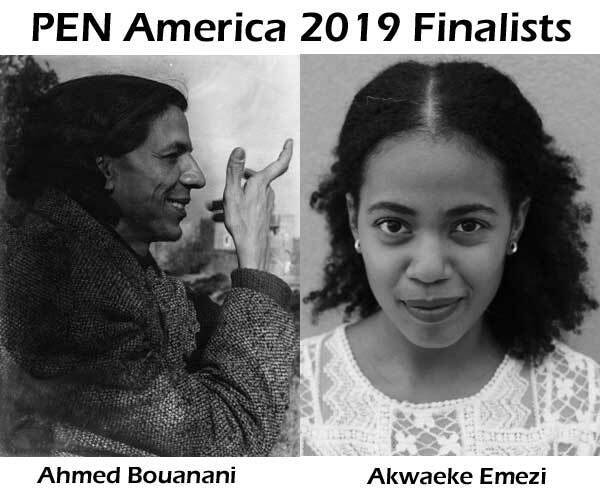 Akwaeke Emezi and Ahmed Bouanani were announced as PEN America 2019 Finalists on January 24, 2019. Emezi is in the running for debut novel Freshwater while Bouanani is there on the strength of his poetry collection The Shutters. PEN America announces awards in different categories to celebrate the best of writing in that country. In the past, there have been winners from Africa getting these honours like Imbolo Mbue and Helen Oyeyemi. The finalists for the PEN America Literary Awards 2019 have been announced in several categories with hundreds of thousands of dollars to be awarded. The awards are juried by panels of esteemed, award-winning writers, editors, booksellers, and critics. The categories this year are the PEN/ Robert W Bingham Prize for Debut Short Story Collection, PEN/Jean Stein Book Award, PEN/Hemmingway Award for a Debut Novel, Pen Open Book Award, Pen Translation Prize, Pen Award for Poetry in Translation, PEN/Diamond-Spielvogel Award for the Art of the Essay, PEN/Bograd Weld Prize for Biography, PEN/John Kenneth Galbraith Award for Nonfiction, PEN/E.O. Wilson Prize for Literary Science Writing, and PEN/ESPN Awards for Literary Sports Writing. This award honours a debut novel of exceptional merit published in 2018 by an American author who has not previously published a full-length book of fiction. Akwaeke Emezi has been listed for debut novel Freshwater. Judging this category are Dinaw Mengestu, Cristina García, Scott Simon. PEN AWARD FOR POETRY IN TRANSLATION ($3,000) – Ahmed Bouanani translated by Emma Ramadan. The winners will be announced at the 2019 PEN America Literary Awards Ceremony in New York, USA on February 26. Previous Previous post: Meet the team running Malawi’s Feminart Arts and Book Festival 2019. Next Next post: Uganda International Writers Conference 2019 for Kampala in May.